For book geeks, October is a month of thrills. On October 12, the Man Booker Prize was presented to British author Howard Jacobson for The Finkler Question, a comic novel about anti-semitism. You can read a review of the work here. And now, the National Book Award Finalists have been revealed. On October 13, author Pat Conroy (The Prince of Tides, The Great Santini) announced the nominess from Flannery O’Connor’s childhood home in Savannah, Georgia. Peter Carey, whose novel Parrot and Oliver in America was shortlisted for the Man Booker Prize, is also a nominee for the National Book Award. Among the non-fiction contenders is Patti Smith, often called “the Godmother of Punk,” for her work Just Kids, a memoir of her life on the punk scene in the 1970s and her relationship with photographer Robert Mapplethorpe. You can listen to a fascinating interview with Smith on NPR’s Fresh Air With Terry Gross here. Poets nominated include C.D. Wright for One with Others and Terrance Hayes for Lighthead. 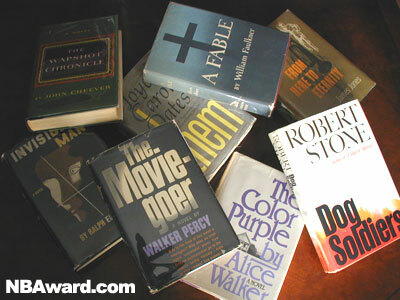 Young-adult fiction authors include well-known names like Walter Dean Myers (for his novel Lockdown) as well as lesser-known authors such as Laura McNeal (for Dark Water). You can check out the full list of all twenty nominees here. Happy reading!